Welcome to Anchorage, Alaska, “the City of Lights and Flowers” in your RVshare RV rental! It is the northernmost city in the United States with more than 100,000 residents and the largest community in the North America north of the 60th parallel, and about 2 days with your RV rental in Anchorage to Seattle. It is the state’s most populous city and contains more than 40 percent of the entire population of Alaska. It is undeniably one of the most breathtakingly beautiful locations on the planet since much of the area is still wild and untouched. A diverse wildlife population even exists within urban Anchorage and the surrounding areas. It truly is a uniquely special place in America to visit in an RV rental Anchorage AK! While Anchorage is not at the top of most people’s vacation lists, it should be, especially with an RV rental Anchorage. It offers things that no other state can (and most countries too) for your small RV rental Anchorage. We’ve created a short list of things to do and see that should convince you to travel in your RV rental in Anchorage, AK. Enjoy! Prince William Sound is surrounded by high mountains and glaciers, and receives haven from the high seas by barrier islands. You want to plan at least an entire day to explore the gorgeous waterways and surrounding topography. It’s so incredibly picturesque that just looking around is one of the best things you can do. There are rugged reliefs, fjords, glaciers, whales, bears, and an amazing waterway called the Sound. You most definitely want to get on the water – it changes the perspective completely. Go out on kayak, tour boat, charter, or ferry from Whittier, Valdez, and Cordova. It’s a once in a lifetime adventure. The Chugach National Forest is a 6,908,540-acre United States National Forest in south central Alaska. The forest covers portions of Prince William Sound, the Kenai Peninsula, and the Copper River Delta. The Chugach includes extensive shorelines, glaciers, forests, and rivers, much of which is untouched by roads or trails. It is home to numerous bird, mammal, and marine life, including extensive shorebird habitat and a bald eagle population larger than the continental 48 states combined. Many visitors regularly spot eagles, bear, mountain sheep, mountain goats, beluga, and even killer whales have been seen. Don’t skip a chance to see one of the most beautiful forests in the world. 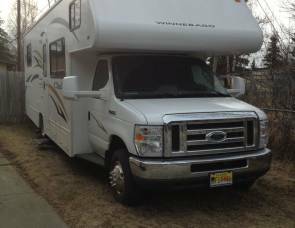 Go check out the RV rental Anchorage rates and book as soon as possible! Cook Inlet stretches 180 miles from the Gulf of Alaska to Anchorage in south-central Alaska. The Cook Inlet region contains active volcanoes, including Augustine Volcano and Mount Redoubt. You can travel the Turnagain Arm, a waterway, one of the two narrow branches of Cook Inlet, the other being Knik Arm. Many come to view the dense amount of wildlife and to observe tidal bores. Turnagain Arm is one of about 60 bodies of water worldwide that exhibits a tidal bore. The Inlet tides changes are very drastic and quite astounding to watch, making it one of Anchorage’s most popular tourist locations. It is another one of the areas geographic wonders. Check out the many RV rentals Anchorage Alaska reviews and see how popular Cook Inlet is! 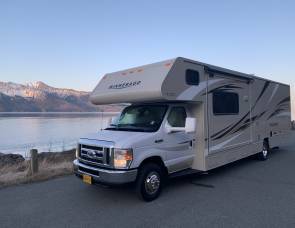 Anchorage Ship Creek RV Park is located just 5 minutes outside of Downtown Anchorage and offers RVers a convenient place to park their rig while in the city. The park has 130 total spaces, all of which are full hookups and gravel. There are also 60 max length sites in case you have a large rig. The amenities include wi-fi, laundry, self-service RV wash, dump stations, restrooms, ice, RV storage, and more. 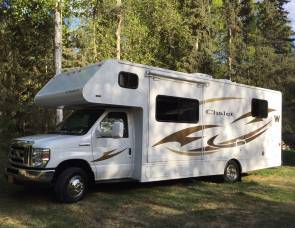 Anchorage Ship Creek RV Park is a near perfect campground for those looking to explore the great attractions with affordable RV rental in Anchorage rates, the campground offers. Golden Nugget RV Park is just 10 minutes West of Downtown Anchorage and has everything you’d come to expect in a quality RV park from RV rental Anchorage reviews. It is just a short walk from the beautiful Russian Jack Springs Park. Golden Nugget has a whopping 215 total spaces, 190 are full hookups and gravel sites. The amenities here include: wi-fi, rec hall, planned activities, laundry, RV supplies, restrooms, RV storage, ATM, and more. 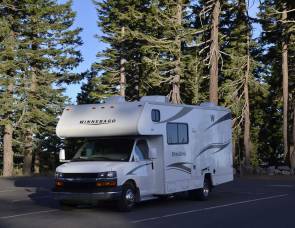 This is another conveniently located RV park for those exploring the area and looking for a quality basecamp. This RV park is just 5 minutes South of Downtown Anchorage on Seward Highway. You will be minutes away from trails, shopping, theaters, restaurants, and other attractions. There are 51 total sites, all of which are full hookups. Enjoy the newly remodeled bathhouse with free showers. 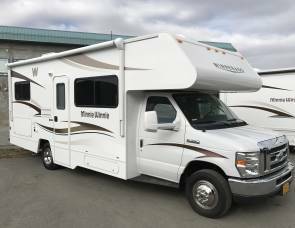 Other amenities include free wi-fi and cable, picnic and BBQ areas, electrical hookups, dump station, a full 24 hour on hand staff, and more for your campervan rental Anchorage AK. Creekwood is one of the areas highest rated RV parks from RV rentals in Anchorage, Alaska reviews and when you get here you’ll see why! SalmonStock is a celebration of Wild Alaskan Salmon and the people who depend on them. It is 3 days of fish, fun, and music! Lucinda Williams and Ozomatli headlined this event in 2014, showing that is growing exponentially since it’s initial opening year. Enjoy great music, food, drinks, art, and company at SalmonStock! The Anchorage Folk Festival is a member supported volunteer non-profit organization that supports folk arts performance in the community. The festival is a free 2-week event that includes: educational workshops, live-music dances, guest artist performances, the annual Folk Week, and so much more during your RV rental Anchorage Alaska. This festival has become a great annual Anchorage event and will only get better each year! While the majestic natural landscapes and wildlife might initially get you here to Anchorage, you will soon realize that the locals here are just as awesome and valuable to your journey. This Alaskan city is truly an American treasure and should be seen by anyone who can get here with a campervan rental in Anchorage, AK. Read the RV rental Anchorage reviews and see why this place is a must-see place! 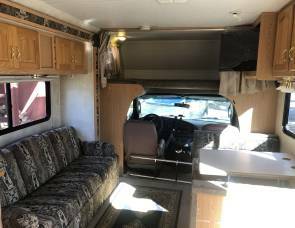 Thank you for choosing RVshare! Have a safe and fun trip with your RV rental in Anchorage, Alaska!